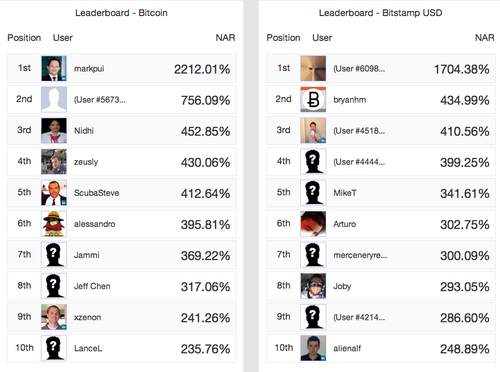 BTCJam is very excited to present the Leaderboad – see who grew their Bitcoins the most! With the leaderboad, you can now view your NAR (Net Annualized Return) in comparison to other investor’s NAR from around the world! Start investing today to get onto the leaderboard! The user must have invested in at least three different listings. The user must be registered for at least 30 days. The leaderboad will be updated daily. Learn more about NAR here.